Home > Resources > Transfer > How to Transfer Nokia Data to Sony Xperia? Since some people like to share things that they learn and use with others, some activities that can be done on a mobile phone has increased dramatically over the years. One in which involves the need to transfer data from one phone to the next without a lot of unnecessary problems. If you switch from a Nokia phone to a Sony Android phone, one of the first things you want to do is transferring the whole Nokia phone data to the new Sony device, right? To transfer Symbian Nokia data to Sony Xperia, you can try out the Coolmuster Mobile Transfer. It is able to help you transfer contacts, photos, videos, music and more from not only Nokia to Sony Xperia Z6/Z5/Z4/Z3, but also other devices from Android, iOS and Symbian. 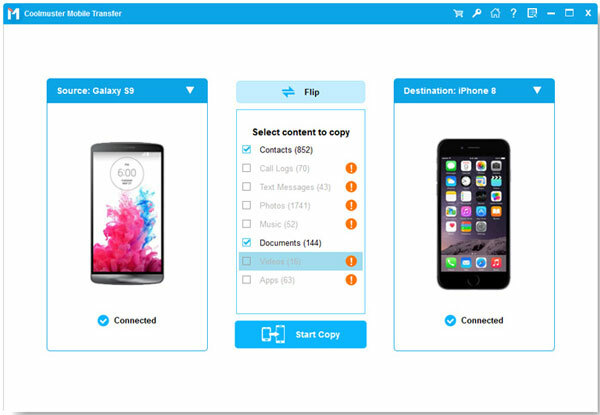 This process is idea for several different reasons, and is highly recommended by users who have had success transferring their data from one device to the next. 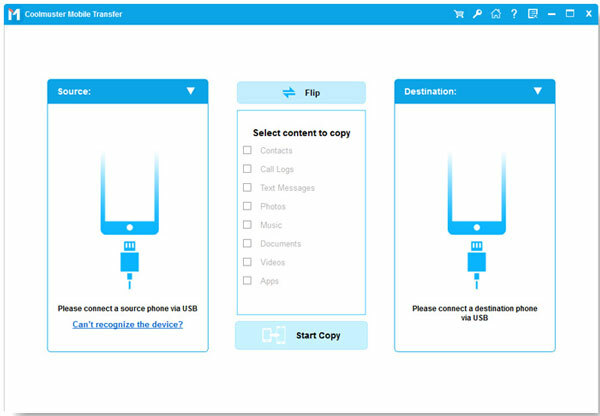 Now, you can refer to the following guide on how to transfer data from Nokia to Sony phone, with the help of Coolmuster Mobile Transfer. Before that, you should click the download buttons to download it on your computer. First of all, download and install the Nokia to Sony transfer program - Coolmuster Mobile Transfer on your computer. Launch it and use two USB cables to connect your Nokia and Sony phones to the computer. Choose "Phone to Phone Transfer" option on the primary window to enter the phone to phone transferring window. Then, the program detects the two phones and display them on the interface side by side. All transferable file types are displayed for your choice. Just tick off those you want to transfer from your Nokia phone to Sony Xperia, then, click the arrow in the middle, which is pointing to Sony phone, to begin the transfer process.